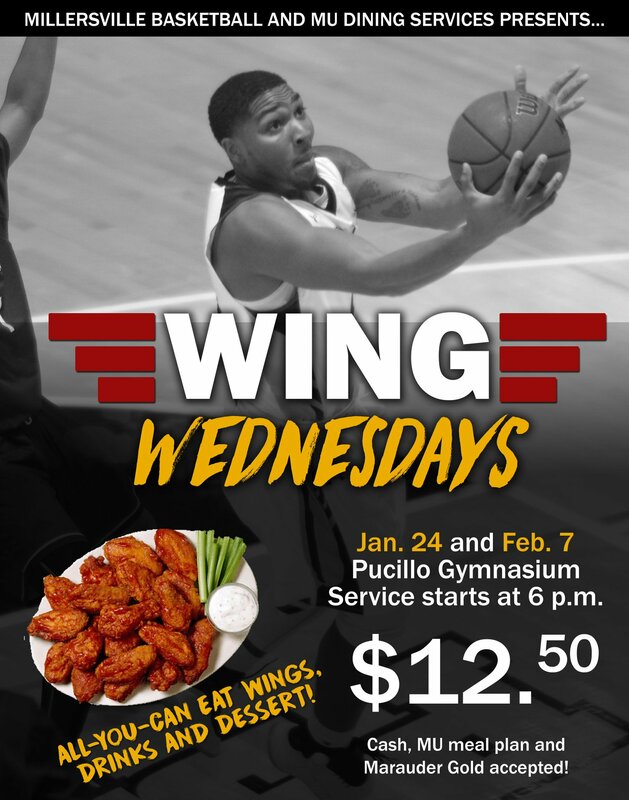 Wing Wednesdays: All-you-can-eat wings at Millersville basketball games (Jan. 24 and Feb. 7) – $12.50 for wings, drink, dessert. Cash, meal plan, Marauder Gold accepted. Women’s basketball, Lock Haven 86, Millersville 84. Football – MU’s Sean Dugan was named to the Don Hansen Football Gazette’s All-Super Region 1 First Team. Men’s basketball – Millersville’s Caden Najdawi named PSAC Eastern Division Freshman of the Week. Millersville’s Sunflower Greene named PSAC Indoor Field Athlete of the Week. 1/16 – The Temple News – Millersville’s Saxbys mentioned in article on Temple getting a Saxbys. 1/16 – York Dispatch – Dover High School graduate Alayah Hall was named the PSAC Women’s Basketball Eastern Division Athlete of the Week for Millersville University. Basketball at Gannon: Women at 1 p.m., Men at 3 p.m.
Wrestling – American International, noon. Wrestling at Shippensburg, 7 p.m.